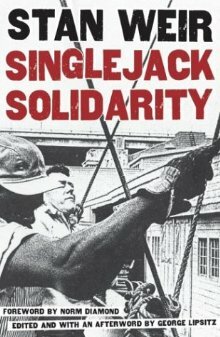 This chapter in Stan Weir's Singlejack Solidarity tells the history of how, from the victory in the 1934 General Strike through the first Mechanization & Modernization (M&M) Agreement in 1961, longshore workers in San Francisco had 27 years of near-total control of the labor process on the waterfront in the "largest, longest, and most successful formal experiment in workers' control ever conducted in the United States." With the M&M the ILWU negotiated those gains away, exchanging huge individual pay-outs for containerization and a 90% reduction of the workforce. The 134-day longshore strike in 1971 was the last attempt to reverse this. In the late 1950s the longshore industry began to experience its first major technological change in almost a century, or since the introduction of steam-driven cargo hoisting machinery onto the decks of ships. The decade following World War II saw the development of large containers in which freight could be hauled by trucks as trailers or on railroad flatcars, "piggyback." Maritime shipping was left as the one obstacle to a totally integrated freight transport system. By 1975, more than two-thirds of all dry cargoes moving across the docks of the major American ports were containerized in metal boxes, 40x8x8 feet in length, height, and width. Ships of traditional design whose double bottoms and sweat battens once felt the burdens of sacked coffee, spices, sugar, and various cartoned goods and absorbed their smells became unusual sights at long-used piers. More common were new or remodeled ships whose holds are slotted exactly to receive and nest the rectangular, locked, sealed, clean, and odorless containers. The automation of the cargo shipment process continues apace. The ships of newest design do not require the presence of longshoremen on their docks or in their holds. The interlocking containers are stowed or discharged by giant shoreside cranes with automatic hook on and hook release devices. Not only is it increasingly rare for one longshoreman to touch the same piece of sweated cargo touched by another longshoreman somewhere in the world, longshoremen of different ports and countries are seldom anymore allowed to sense each other's presence. The old ships which carried break-bulk cargoes provided hold and dock longshore men around the world with physically identical work environments. The workplaces traveled the globe and were the same. What changed in each ship as it went from port to port was the cargo and the nationality of the men who worked on it. As each longshore gang boarded a ship and uncovered the hatches, they found each other's city and union newspapers, cargo hand hooks lost or left behind, and evidences of secret feasts made possible by edible or imbibable articles in the cargo. This very special form of international communication is becoming extinct. More and more, longshoremen work exclusively on the dock in the shadow of the ships, but not inside them. The movement of traditional break-bulk cargoes demanded that longshoremen form partnerships. Most cargoes came in sacks, boxes, cartons, bales, or barrels which were too heavy to be lifted by an individual. Then too, the stowage of each piece within a vessel or its discharge from its place of rest within the vessel onto a sling, board, or net regularly presented one or more logistical problems. Improper stowage could cause shifting at sea and consequent unseaworthiness of the ship. Incorrect stacking of loads could cause cargo damage and serious accidents. The problems were best solved by consultation and the critical double checks allowed by the partner system. Moreover, a partner provided another set of eyes for the detection of a dangerous condition in an industry where the number of accidents is second only to those in hard coal mining. The longshore partnership was and still is (when and wherever it survives) a total social institution. Partners not only move cargo together and communicate their moves, the casual nature of the industry demands that they seek job assignments together, an activity made easier if both live near one another. Counting the time spent traveling to the union hiring hall to obtain a job assignment, the waiting, the trip to the pier, work, lunchtime, coffee-time, and the trip back to the hiring hall to sign in for the next day's or night's work, longshore partners in large number were commonly within each other's reach for twelve hours a day. Longshore partnerships are in a way respected by longshoremen at least as much as marriage partnerships. Laugh, argue, "bruise and heal quick." Personality flaws are overlooked in order to retain the mergers because "there's no one any better than him when it comes to work." Having a steady partner builds at least one "known" into the work in an industry where the ships and piers being worked, like the cargoes and bosses, change daily. "How long you two guys been working together now?" was (until the 1970s) an often-asked question. The pride contained in the answer was seldom feigned. There was no need for hardened artificiality. Also, the partners were free to separate at any time, and there was no physical property to be divided at the time of the split. In West Coast ports prior to the late 1960s when job opportunity was still equalized by union decree, there would never be an occasion for separated partners to compete against one another for jobs. Separations were usually friendly. When the post-separation question came—"Hey, why did you split up with your partner?" —the answer almost always sustained old loyalties. As break-bulk cargo has come to provide a minority of jobs, the partnerships that remain have changed radically in character. They are utilized whenever possible on days when the old style work is available, but the operation of the large pieces of capital equipment that move containers provides solitary jobs. Diminished work opportunity has demanded that many obtain a second job which places them away from the waterfront several days a week and out of easy communication with members of the "old" occupation. The 1934 longshore strike in all West Coast and Hawaiian ports which peaked with the San Francisco General Strike provided participants with what William Pilcher calls a "social charter. "1 Just as the War of Independence remained for so long the common emotional linkage for American citizens, Pilcher explains, the 1934 victory became the social glue of the Pacific longshore community. During the following twenty-five years, these men would live the largest, longest, and most successful formal experiment in workers' control ever conducted in the United States. By defeating the employers, they won the right to control the process of job assignment in what (in name) was a "jointly operated employer-union dispatch hall" in each port. But the union longshoremen won the right to elect all job dispatchers in a democratic annual election. With that power they had de facto control over recruitment to the industry, in itself an institution that will warrant mention again here later. By 1939 every longshoreman in each port had to be ordered and dispatched from a single central dispatch hall. The stevedoring companies were thus denied the right to hire steady men or gangs. Favoritism, the most insidious of weapons and the practice creating the deepest resentment, became a minor, rather than a major problem. Many longshoremen hold that the elimination of steady men and "preferred longshore gangs" (gangs that did not have to participate in the work opportunity equalization process) was the biggest single victory obtained in the battles of the '30s. 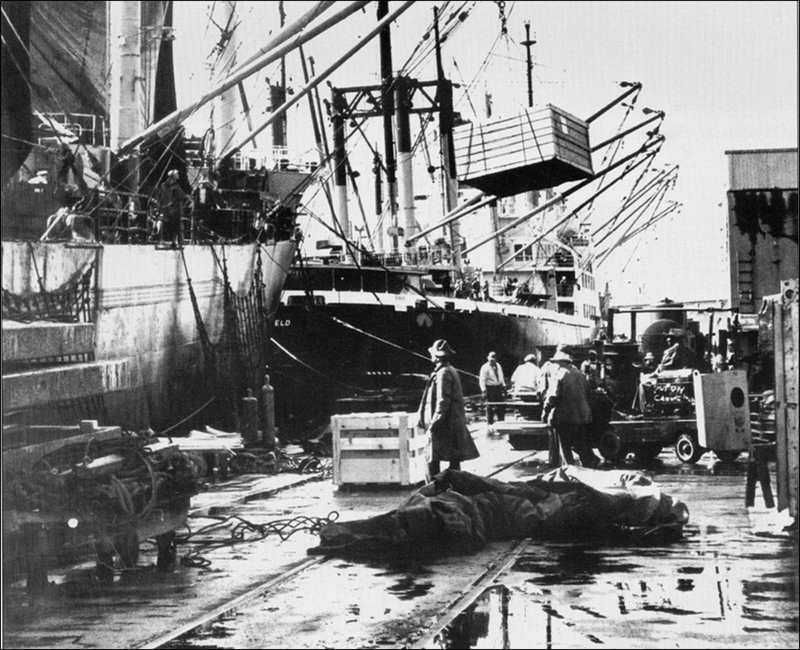 "The 1934 Award" to longshoremen by the Franklin Roosevelt administration, which ended the strike, also provided the men of the West Coast longshoremen's union with a number of on-the-job controls. By both formal negotiation and direct on-the-job action, the union men established firm manning scales and definite gang sizes for all cargoes.2 Protection against employer retaliation for on-the-job militancy was established by eliminating the employers' right to fire members of a longshore gang as individuals. To fire a particular man, a walking boss had to fire the entire gang of which the man was a member. The fired gang was then regularly dispatched to another (or even the same) ship on the following day without penalty, unless or until the stevedoring company in question filed formal charges against the gang. In the latter event, the gang could continue to work for that company without penalty until found guilty. The gang then stood trial, first before a union grievance committee. Only if found guilty there did it have to stand trial before a joint employer-union labor relations committee. Additionally, out of the 1934 award the union established a hatch seniority system on each ship while it was in port. If, for example, a gang was assigned to number three hatch as work began on a ship newly arrived in port, the work in that hatch belonged to that gang during the ship's entire stay in port. Thus, if the gang incurred the wrath of a walking boss, the boss was unable to victimize its members by moving them to another hatch containing less tonnage (less work opportunity), or dirtier or harder-to- work cargo than the hatch to which they were originally assigned. The fourth and final major control obtained by the West Coast longshoremen as a result of the 1934 award was the 2,100-pound load limit. No more than that amount of break-bulk cargo was allowed to be hoisted in or out of a hold at any one time on any sling, board, bridle, or net. Beyond being a safety measure, it became a major restriction on the employer's ability to conduct speedups. The on-the-job controls or union work rules listed above continued in force for twenty-seven years—until 1961. Together with the union controls over job dispatch, work opportunity equalization, and recruitment, they made possible a "new way of life" for West Coast longshoremen. At the same time, the ILA East and Gulf Coast dockers were still (until the late 1950s) victims of various forms of the shape-up or employer controlled hiring and were protected by only minimal union work rules. In effect, the West Coast longshoremen had decasualized the industry on their coast, mainly on their own terms. They eliminated the helot and near-migrant worker status of longshore labor and became respected citizens of their communities, bought homes, and raised families. No more were so many of their members relegated to living as involuntary singles in skid row rooms and apartments. With the new security and freedom, the longshore work community took on a personality characterized in large part by the individuality of the dress, comportment, and avocations of its members. "Dress-up Danny" provides, for now, an example. His fame was based on the dress suits he wore while doing hold work, and on his ability to work well while remaining sartorially immaculate. There were, and are, many like him. Necktie Charlie, Books Cartwright, Bicycle Kovacs-all actual people, their work names more real than the ones appearing on their birth certificates. Wise men, clowns, shamans, and eccentrics-they and men like them were and are conduits of expression for those around them. They perform and hold court while moving freight, during the wait for jobs in the dispatch halls, and in the pier cafes. Not all have nicknames or are extroverted, but all are known on the waterfront and sometimes beyond. There is presently a nationally recognized small press book club operated by a lone San Pedro longshoreman. There are teachers, artists, realtors, and poets. Eric Hoffer is another case in point. It is probable that his writing career would have been quite different without the gains won by longshoremen in the 1930S. Union control of hiring made it possible for him as a union member to work only two or three days a week and write during the remaining four or five, and still retain regular employee status with full hiring, pension, and health benefit rights. Whether the other San Francisco longshoremen were angered or liked what he wrote, he could do the work and was accepted. Then too, there was pride in the understanding that his publishing accomplishments, if not his ideas, were in significant part a product of workers' institutions. In 1960-1961, ILWU president Harry Bridges negotiated the first of two five-year "automation" or mechanization and modernization (M&M) contracts with the Pacific Maritime Association (PMA). Despite the fact that the containerization process had only just begun and break-bulk cargo would still provide most of the jobs until 1969, the contract sold all the on-the-job controls or work rules back to the employers. Not even the load limit was retained. In 1959, or at the beginning of the two-year period during which the top PMA-ILWU officials worked out the formula for the first M&M agreement, an appointed and select union-management committee was allowed to recruit Class B longshoremen in every port. They were registered fulltime employees. They worked under the jurisdiction of the union, paid dues to the union, but were not allowed to join it or obtain its protection. Thus, for the first time since 1934, there were regular working non-union longshoremen. It was made mandatory that the B men work in the holds of the ships after the A, or union, men had taken their pick of the daily jobs. Most of the A men, however, were older and worked on the deck or dock. When youth is gone it becomes more difficult to climb the long vertical ladders in and out of the holds or work on irregular cargo floors. In most ports this division of the production process by union status and age allowed the employers maximum insurance against an outbreak of job actions when the rank and file union longshoremen would begin to learn what it meant to move cargo without work rule protection. The ship's hold or point of production was always decisive to any job action and the area that traditionally produced militants. But the majority in the holds were now B men who were assured of being fired for the simplest infraction of employer rules. The A men on the decks and docks, manipulated to the position of an aristocracy by age and the lack of leadership, were disarmed. The price to the employers for purchase of the union work rules was a $7,900 bonus to be collected by every man who reached age 65 with 25 full years in the industry. It could also be collected in the form of early retirement benefits at age 62, again with the twenty-five-year stipulation. Relatively few collected. Death still comes to the average West Coast longshoreman between 58 and 60. The contract containing the sale was ratified by a two-to-one vote of the longshoremen up and down the coast. The opposition was largely unorganized, isolated within each port, and without an alternative proposal. Many among those who voted for the contract had deep misgivings, but they still had trust in the Harry Bridges leadership. They were told that the oncoming automation had already stripped them of their power to resist the employers and that they had better sell their work rules while they could still "exact a good price." Lost in the confusion was the fact that the M&M agreement also took essential control of recruitment to the industry away from the local unions in each port and centralized it in the hands of the top PMA-ILWU officials. Only in one port was there organized resistance to the top officialdom's "automation program." It came from longshoremen in the port of Los Angeles. Their opposition was crushed as the employers, with high-level union support, diverted ships bound for Los Angeles to other ports in California, and then trucked their cargoes overland to and from the Los Angeles area. Ignorant of the struggle going on in Los Angeles, ILWU longshoremen in San Diego, Port Hueneme, and San Francisco became party to the tactic. The second M&M agreement (1966-1971) was ratified by a seven-to-five vote. The majority was significantly narrower than the one obtained for the preceding contract, but the opposition remained fragmented, still forced to deal with the demoralization created by the first M&M contract, and still disoriented by the magnitude of the change facing them. The idea that automation is progress "and you can't fight it" is deeply ingrained in all American society. Then, too, the 1966 contract upped the retirement bonus to $13,600 at a time when the average age of the A men in a major port like San Francisco was over fifty-five. In that advanced state of confusion, there was little debate over the contract's clause 9.43 that allowed the employers to return to the pre-1939 practice of hiring steady men. Union officials assured the workers that this would involve only a "few handfuls" of men in each port. Actually, another sale was being made. Clause 9-43 gave up the foundation of the longshoremen's control over daily hiring in the dispatch hall and its commitment to work opportunity equalization. With the mass introduction of containerization in the last years of the second M&M agreement, the employers began quietly to hire steady men in large numbers. Soon, ever-larger numbers of men were daily going directly to jobs without having to wait their proper turn in the hiring hall. Disgust, then open anger, and finally resistance began to develop. Among the men who continued to get their jobs from the hall, it became a mark of honor to be able to say that a steady job had been offered, "but I turned it down." The expiration of the second M&M contract was met with the longest longshore strike in U.S. history, occurring in two segments separated by a Taft-Hartley injunction, and lasting 134 days. The contract was ratified with great difficulty in 1972, only after the ranks were many times outmaneuvered and long without paychecks. It contained a significant wage increase of over seventy cents an hour (which the government's Wage Stabilization Board later cut almost by half). In San Francisco, the main drive behind the strike was created by the steady man issue. Buttons with "No 9.43" appeared by the hundreds, first in San Francisco, and then in the other ports from Seattle to Los Angeles. This constituted the first organized multi-port opposition to the top union officials in ILWU history. One of the first acts of the striking locals was to call all steady men back to the hall. Morale skyrocketed with the accomplishment. That the contract that was finally approved still contained 9-43 was a monument to the ability of bureaucracies to close ranks against the rank and file. A few years later, in 1975, it took three coastwide referendums to get ratification of the contract currently in effect. Modest but determined opposition continues to mount, even though no alternatives to the ideas of incumbent officials have been formulated. The longshoremen now fight the knowledge that it is late, that not only their hard-won working conditions, but their occupation itself is in danger of extinction. When we began to see the results of automation in about 1956, we raised so much sand that Harry [Bridges] flew over for one of our meetings. We told him: "Wherever the containers go, even if it's to a supermarket uptown, we want to follow it and do the unloading." He said, "Now wait a minute you Pineapples, it's not going to work like that." And it didn't. Man, I made a trip back home just last year. When we used to load sugar onto the ships in 125-pound sacks, each ship was a seven-day job. Now, with the bulk ships, they blow in a full load in eleven hours. There were 370 longshoremen in the port. Now there are thirty-five. That's how much air the balloon has lost. I was in the first bunch let go. That was 1958. They called us the "First Phase." They gave us all 850 dollars to get ourselves and our families to a West Coast port. I been here now seventeen years. Harry was a good man in his time, but look at us now. In this port it's the same bad joke. Automation on the waterfront is not limited to the use of computer-regulated containers or break-bulk carriers. Lighter Aboard Ship (LASH) operations provide equally startling results. In San Francisco, for example, entire lighters or barges are loaded with rice in the Stockton delta area and towed down the river. When they reach the Bay, they are hoisted onto ships and locked into place, becoming integral parts of the ship's hulls. In effect, LASH ships have mobile holds or hatches. The new ships that bring autos from Japan and Europe also use the basic Ro-Ro design. The Datsun ships, for example, regularly discharge a thousand cars in Los Angeles in eight hours, then move on to Northwest ports where they load bulk wheat in the holds and logs on deck. The productivity improvement over the older ships is better than 200 percent. None of the above-listed changes in cargo handling methods could have been accomplished without radical change in ship design. The new construction not only cut down drastically on the number of men needed for the loading of cargo in and out of holds, the new container, auto, and Ro-Ro ships generally have no masts, booms, or hoisting machinery on their decks. Shoreside cranes move the containers. Autos and trucks move on and off auto and Ro-Ro ships by ramp. Moreover, these ships, like all others built in the last decade, have steel hatch coverings that open and close electronically with the push of a button. On ships of traditional design it was not unusual for the rigging of booms and guys, plus the handling of hatch boards, battens, strongbacks, and heavy canvas tarps to involve a longshore gang's time for as much as 15 percent of a shift. At the present time, the longshoremen who work steady for the various container terminals perform the bulk of the work needed to load and unload the container ships. Men are ordered from the dispatch halls to these ships mainly for the purpose of putting on or taking off the heavy cable lashings which hold down the containers that are loaded three and four high on deck. Ships are now under construction which have automatic lashing devices. All this does not mean that ships of traditional construction are no longer conducting trade. They are, and will continue to perform a role for another decade or two. The average life expectancy of a ship is thirty years. Many of the traditional ships have gone into shipyards for design modification and cargo handling methods on them have been rationalized. While they may be unable to receive standard-size containers in their holds with ease, they easily accept unitized loads. It is not uncommon for entire ships to be loaded out with the cartons stacked on pallets forming eight-foot cubes weighing five tons each. The hatches are opened on a particular ship and two forklift trucks are hoisted into each of the holds being worked. The units (or cubes) hoisted in one at a time are landed in the square of the hatch and are then picked up and driven or hoisted to their place of stowage by the forklifts. Four men work in each hatch, including the lift drivers, as opposed to eight on a break-bulk operation, and the ship gets loaded in better than one-third the break-bulk time. Automation began to significantly decrease longshore jobs in the early 1960s. The first total victims were of a category of longshoremen not yet discussed here and who are all but invisible in the literature on the industry. They are the casuals who have no formal ties to the employer or to the longshore section of the ILWU. They worked on the waterfront by the day, received the hourly wage, but none of the fringe benefits. During the 1950S, there were years during which the casuals of San Francisco performed as much as 10 percent of the longshore work. Some were able to average two days' work per week during peak shipping periods, and had become skilled in the occupation. For hundreds of the working poor, the work they got on the waterfront was their margin of economic survival. Few casuals are to be found on the West Coast waterfront today. No regular or registered West Coast longshoremen have been put out of the industry as a result of automation. New recruitment ceased entirely in the latter 1960s, but the total of those registered began to shrink even earlier. The cutback was accomplished by attrition. As the men died, were killed, disabled on the job, or retired, they were not replaced. In New York, then the busiest port in the world, the number of employed longshoremen declined from over 50,000 in 1953 to 23,000 in 1967. Since then the number has dropped to under 16,000. The cuts on the West Coast have been equally dramatic. There are now fewer than 10,000 regular longshoremen in all thirty-two ports of the West Coast. In the four major ports of Los Angeles, San Francisco, Portland, and Seattle, the men who are not "steadies" are lucky if they average three days' work each week. The 1975 contract between the PMA-ILWU which was rejected by the ranks in two all-coast referendums before final acceptance contained a Paid Guarantee Plan (PGP). Registered longshoremen who are available in hall or gang for work five days each week are supposed to receive thirty-six hours straight-time pay. The amount is cut in half (eighteen) for B men. There has not been a week in which those amounts have been collected in full since the contract went into effect. The employers allotted ten and a half million dollars for payments during the first of the contract's three years and nine million dollars for each of the remaining years. By plan, they divide the amount to be paid out during each year by fifty-two (weeks) and payout no more than that amount in anyone week. The men are now receiving checks with as little as 58 percent of the amount guaranteed. So many are drawing on PGP that the payments threaten to go below 50 percent. A record is kept of the growing amounts the PMA owes each man, or the difference between the guarantee, which is just under $250, and the amount actually received. It has been inferred that the PMA will pay its debts at the end of the year or on the expiration of the three-year contract. I have found no longshoremen who believe this will happen. Boston longshoremen negotiated a similar plan over a year ago called the GAI, or Guaranteed Annual Income. They have yet to receive their first payment. They now number only four hundred. In December of last year they struck the employer to force payment and failed. The changing nature of longshore work and diminished work opportunity destroyed much of the basis on which traditional longshore partnerships were founded, but PGP has created a new basis for their formation and sustenance. Hundreds of Los Angeles longshoremen, for example, go each morning or evening to the dispatch hall in Wilmington. Few of their number get called up to the window to receive a job assignment. If by chance they were called unexpectedly and were absent, they would not be eligible for the PGP that payroll week. Many have paired off into partnerships. Each goes alone in turn to the hall for the dispatch. When their numbers are called, the partner at the hall picks up both jobs, and phones his partner at home, telling him the job's pier location, gang number, and the nature of the cargo to be worked. They then meet at the ship in time for the shift start. The arrangement makes life easier, but it is not like the "old days" when a partner was chosen because of his work skill, temperament, and on-the-job social skills. PGP provides some income for which longshore work was not performed, but it is a symbol of their occupational crisis. It is a "dole" and is put upon them by a contract few wanted. The disgust and involuntary time off sets minds to the development of schemes by which to beat the PGP on an individual or partner basis. It's like Las Vegas: a few can "beat the tables" but "the house never loses." Gambling, like the PGP, can be a pastime, but even for those who win there is no fundamental enrichment. How and why have longshoremen allowed all this to happen to them and why hasn't their resistance taken on greater form are questions that logically arise. First of all, like so many segments of the population who are in crisis, the longshoremen are handicapped by a lack of ideological and organizational alternatives. No union leadership has yet put forth the idea that "industrial progress" is reactionary when it contains no consideration for the bulk of humans in the industry wherein it occurs. Further, the longshoremen designed their union to fight employers, but they did not foresee the degree to which the institution of collective bargaining—by its very nature—would develop bureaucratic conservatism in their officialdom. They, for example, gained control over their hiring system and built few controls to keep union officials from corrupting the system so as to victimize rank and file dissidents. It has not been uncommon for serious critics of Harry Bridges in the ILWU headquarters port of San Francisco to experience temporary or even permanent losses of earning power. Thus, his opponents have had to work, in a way, on an "underground basis." In the last year, the ever-deepening problems of longshoremen have forced rank and file opponents of the ILWU leadership into the open. The bind of automation has shown no signs that it will ease. The introduction of what has come to be known as the "landbridge system" has created further unknowns, despair, and demoralization. Japanese shippers are now discontinuing use of the Panama Canal. Containers from Yokohama are put ashore in Oakland, California, railroaded to Newport News, Virginia, put on ships, and taken to European destinations. The time saved more than makes up for the additional handling costs. The landbridge works from Atlantic to Pacific and to and from the Gulf as well. Also, containers loaded in or bound to any American city can be put aboard the bridge at any one of a number of freight stations. Reno-Sparks, Nevada, has now become the freight transport node for the eleven western states, and a major port. Envisioned for the near future is a refinement of the landbridge system called "mini-bridge." Each coast is to have one or two superports. The remaining ports are to receive minor traffic or be made extinct. Boston is already an outport for New York, despite the fact that it is one day's sailing time closer to northern Europe. In 1963, the U.S. Maritime Administration began to require that to be eligible for subsidy, all future ships would have to have simplified machinery and work area design, centralized engine room control, and generalized control from the navigation bridge. Put into practice, this cut crew sizes 30 percent and recouped the increased capital (ship construction) costs in a maximum of five years.6 Studies had also shown that berthing plus longshore loading and discharging operations accounted "for almost half of the total sea carrier costs. "7 The result was that ships began to come up with designs that cut longshoring as well as crew costs. Hence, the rapid appearance of container ships, bulk carriers, Ro-Ro and LASH ships, and the rapid takeover of the stevedoring industry by shipping companies. The stevedores, with few exceptions, did not have the funds to buy the capital equipment and waterfront land space necessary to handle the cargoes as transported intermodally by the new ships. The increasing capital intensiveness of the industry stimulated by the government has stacked ever-greater burdensome problems on longshoremen. The machinery itself has become an enemy. This is not meant in the Luddist sense, although it would come as no surprise if the present crisis on the waterfront produced some twentieth-century form of that phenomenon. Rather, the machinery has caused the boundaries of the longshore industry to become fluid and without exact shape. The maintenance of longshore machinery no longer requires the skills of marine riggers so much as it does that of electricians and truck mechanics. The shoreside cranes are of the type normally run by members of the Operating Engineers Union. The enormous amount of rolling stock that moves containers in the marshaling yards requires the performance of labor that little resembles traditional longshore work. The Teamsters Union has already claimed a portion of this work with some success. It is Eric Hobsbawm's thesis that longshoremen were in the past able to organize strong independent unions around the world because of the very clear perimeters around their industry.8 They put the cargoes brought to them by truck drivers onto the ships and seamen took it away. Seamen brought them ships from which they removed the cargo and truck drivers in turn hauled it away from the docks. The loading and discharge of ships now involves ever-fewer humans. The actual stowage and discharge of cargo, in and out of the containers, which is still labor intensive, now in most instances takes place far from the docks, at "uptown" factories, warehouses, stores, and hinterland distribution centers like Reno-Sparks, Nevada. The Hobsbawm thesis has withstood another major testing. The blurring of longshore occupational fences makes it difficult for longshoremen to sustain their union organization. During the past ten years Harry Bridges has made several attempts to merge the ILWU with the ILA, and having failed, made even more attempts to dissolve it into the Teamsters. Each time the ranks have refused his proposals. They are increasingly aware that their union president has become willing to play mortician for both their union and their occupation. They fear that if they merged with the Teamsters and then got lost in that far larger bureaucratic jungle, the struggle to save something of their way of life that is now taking form would have little public visibility. Recruitment by family is not limited to this country or century. It has been documented, for example, that for the fifty-year period from 1814 to 1864, Marseilles longshoremen took control over their hiring, recruitment, and division of work. For most of that period 73 percent of their number were sons of longshoremen, let alone nephews and other relations.10 It might be claimed that this phenomenon occurs because waterfront communities have often been geographically and socially isolated from their overall urban communities. The claim may have some validity, but does not withstand full test. Since 1934, concentrated longshore neighborhoods in West Coast ports have by and large dispersed. The men have for nearly half a century raised their families in a variety of areas in their port cities. This has been more the case since the "automobile explosion" and suburbanization, yet father-son continuity has persisted. Longshoring today has at least four certainties: (1) Humans will continue to be needed to move the containers, lighters, unitized loads, trucks, and autos on and off the ships. They will as well be needed to move the equipment around the dock areas and to maintain it. (2) Fewer people will be involved in these tasks. Whether or not they will be steady men is not definite, but it is certain that these people will have far more economic power per person than longshoremen of the pre-automation era. (3) The increase in value of the equipment they operate and the increase in tonnages they move in a day will enlarge job-related responsibilities and internal tensions. (4) Longshore work will increasingly decasuaIize and more resemble warehouse or factory work with its quite different forms of close quarter labor-management confrontation. 1. William W. Pilcher, The Portland Longshoremen (New York: Holt, Rhinehart and Winston, 1972), vii. 2. At the time of the award and until 1937, the Pacific District of the International Longshoremen's Association (ILA) handled the formal contract negotiations on the West Coast. With the formation of the CIO as a separate federation in 1937, the unions of the ILA's Pacific District disaffiliated and formed the International Longshoremen's and Warehousemen's Union (ILWU), as a charter CIO affiliate with Harry Bridges as its president. 3. Harold M. Levinson, Charles M. Rehmus, Joseph P. Goldberg, and Mark L. Kahn, "Simplism and Diversity in Maritime Labor Relations:' in Collective Bargaining and Technological Change in American Transportation (Evanston, IL: Transportation Center at Northwestern University, 1971), 269. 4. Samuel A. Lawrence, U.S. Merchant Marine Shipping Policies and Politics (Washington, DC: Brookings Institute, 1966), 205-6. 5. Levinson et al., "Simplism and Diversity in Maritime Labor Relations." 8. Eric Hobsbawm, "National Unions on the Waterside:' in Labouring Men (New York: Basic Books, 1964), 241-71. 9. Because of this right, America got its first regular longshorewoman. In 1979 a San Pedro longshoreman died and his daughter successfully claimed his job. 10. William H. Sewell, "The Workingclass of Marseilles under the Second Republic," in Peter N. Stearns and Daniel J. Walkowitz, eds., Workers in the Industrial Revolution (New Brunswick, NJ: Transaction Books, 1974); Victor Nguyen, "Le Portefaix Marseilles: Crise et déclin, survivances," Provence Historique 12 (1926).